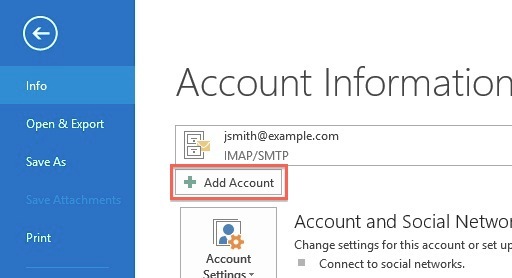 This guide will show step-by-step instructions for setting up email on Outlook 2013 for Windows. While it can be used for other versions of Outlook, some screens and steps might vary. Choose POP or IMAP . Enter mail.example.com as your Incoming Mail Server. You would not enter example.com but your own domain name. The Outgoing Mail Server is the same as your Incoming Mail Server. Enter your email address for the User Name. 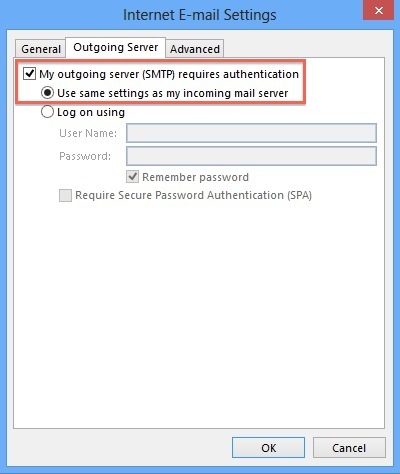 Click the "My outgoing server (SMTP) requires authentication" checkbox. 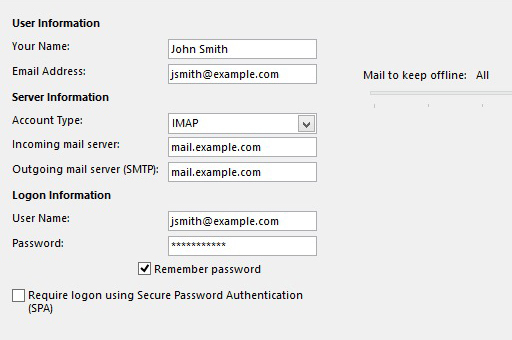 Make sure that it is using the same settings as your incoming mail server. If you are using POP3 with SSL, please enter 995 for your port. Otherwise leave the port at 110. If you are using POP3, you may choose when messages are removed from the server. 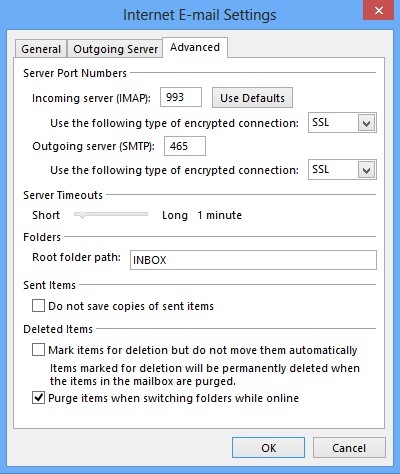 If you are using IMAP with SSL, please enter 993 for your port. Otherwise leave the port at 143. If you are using SMTP with SSL, please enter 465 for your port. Otherwise change the port to 26. 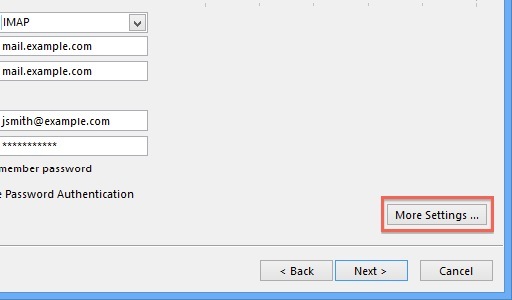 Outlook 2013 is now correctly configured to send and receive emails.